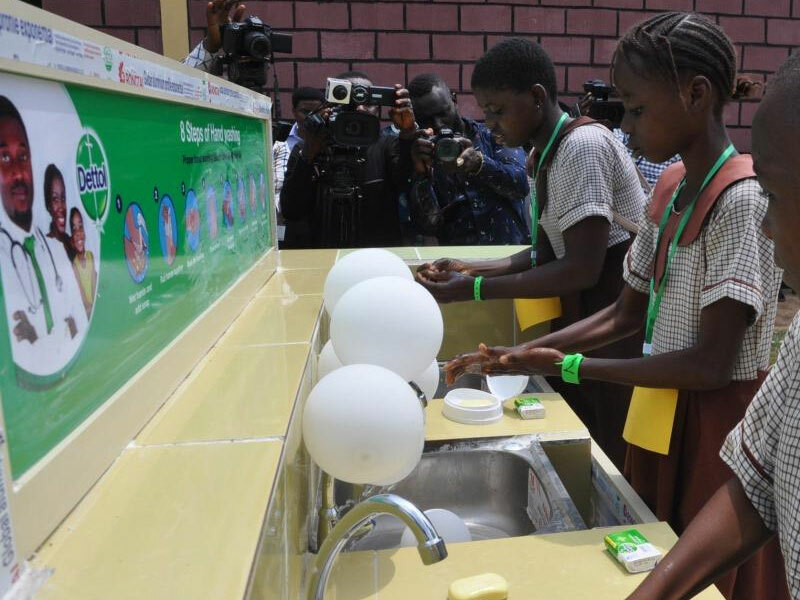 Raheem Akingbolu captures the mood of the society as regards the importance of good hygiene and proper hand washing habits for healthy Nigerian families, citing the example of Dettol’s Corporate Social Responsibility initiative. As Mama Enitan moved towards her grandson, the little boy knew his grandma was going to shout at him for playing with sand. The 4-year-old boy, who came to spend holidays with his grandmother, found it amusing to join other children outside his grandparent’s home to engage in various activities. As he tries to run away to wash his hands in the kitchen, he started to dust the sand off his shirt. “I have told you that playing with the sand is not hygiene. Children can easily pick up worms and parasites from it. I would not want your parents to complain when they come to pick you at the weekend that I have overindulged you,” retorted Mama Enitan. Playing in the sand can be a great opportunity for children to have unstructured play time which is important for creative development. Playing outside offers many children, who are usually stuck in confined spaces most of the day, the chance to engage other children in activities that offer physical and mental health benefits. Unfortunately, most children after playing outside are not as conscious of personal hygiene as they should be which increases their risk of illness. Added to the fact that access to safe water and sanitation remain a major challenge in Nigeria. Many homes, healthcare facilities and schools still lack antibacterial soap and clean water for hand washing, and this puts the health of people, particularly young children, at risk from diseases such as diarrhoea, which is usually caused by poor hygiene, poor sanitation and contaminated water. Ironically, mothers are worse off. The knowledge on handwashing with soaps even among mothers, who should be the custodian of such knowledge is low in different parts of Nigeria. 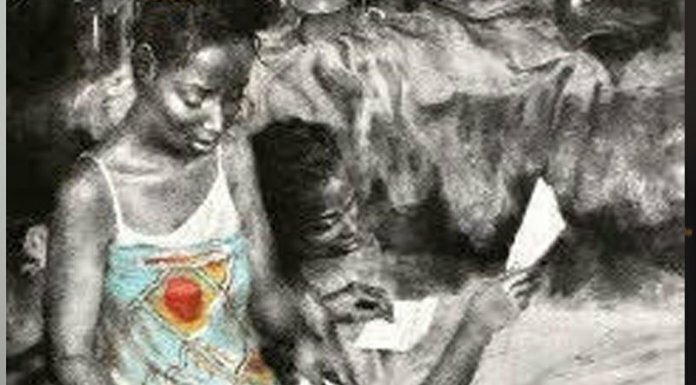 In Northwestern Nigeria, a study among 217 mothers in a rural community found the practice was abysmally low during care of under-fives. In 2016, researchers reported in the Savannah Journal of Medical Research and Practice that 59.4% had inadequate knowledge of handwashing with soaps. Although a majority (85.7%) of them reported washing their hands with soap within 24 hours preceding the study, only 38.2% did so before feeding a child or after cleaning a child’s buttocks (41.9%). There was a statistically significant association between mother’s level of education and her knowledge level of handwashing with soap. Children need to wash their hands regularly throughout the day, to prevent the spread of illnesses. Hands pick up germs throughout the day when a child touches objects (including hard surfaces like benches and toys), food and other people or body fluids. The simple act of washing hands with soap or ash and water—particularly at critical moments, including after using the toilet and before handling food—can reduce the incidence of diarrhoea among children under five by almost half, and respiratory infections by nearly a quarter. World Health Organisation and UNICEF in a report titled Progress on Drinking Water, Sanitation and Hygiene: 2017 Update and Sustainable Development Goal Baseline indicated that about 2.1 billion people across the world lack access to safe, readily available water at home and 4.5 billion lacks safely managed sanitation. The 2016/2017 Multiple Indicator Cluster Survey (MICS) conducted by the National Bureau of Statistics (NBS) also indicated that 69 million Nigerians lack access to safe drinking water. The survey which was conducted in collaboration with the United Nations Children’s Fund (UNICEF) indicated that about 40% of households in Nigeria do not have access to clean water sources. Little wonder, the millions of children in developing countries, Nigeria inclusive, that die from infection and illnesses, such as diarrhoea. According to the World Health Organisation, diarrhoea disease is the second leading cause of death in children under five years old and is responsible for killing around 525,000 children every year. These deaths can be prevented through practicing adequate sanitation and hygiene habits like simple hand washing with soap which can break the chain of infection. In turning hand washing into an ingrained habit to save lives, the Global Handwashing Day is celebrated annually on October 15 to increase awareness and build the hand washing habit. Considered as the gold standard in germ protection, Reckitt Benckiser, the producer of Dettol the world’s leading antibacterial brand, has been committed to spreading the awareness around hand hygiene amongst children across the globe. Its vision is to have a world where people are healthier and live better. By advocating proper handwashing, RB’s ambition globally since 2016 has been to make lives of 1.2billion people healthier and happier by improving their hygiene habits. Speaking about Dettol’s 2018 Global Handwashing Day activities, General Manager, RB West Africa, Mr.Dayanand Sriram stated, “Dettol has been the trusted champion for good health and hygiene for over 50 years in Nigeria, and we believe that it is important to inculcate good habits such as proper handwashing at an early age. A simple act of washing hands with soap can prevent illnesses and arrest diarrhoea related deaths. This is why we are continuing with the tradition of driving habit change, and provision of needed infrastructure. “Over the past 7 years, Dettol has provided over 32 handwashing sites and educated over 7 million children, parents and teachers about the importance of handwashing through the School Hygiene Program, which is a mass education program about proper handwashing and hygiene habits,” he added. Though medical experts say the simple act of hand washing is an important aspect of life, it is often taken for granted. According to the World Health Organisation (WHO), hand washing could be an important factor towards the attainment of the Millennium Development Goals, MDGs, by many nations as it could prevent pneumonia and nutrition-related diseases, as well as help in managing diarrhoea and HIV/AIDS. In fact, experts describe hand washing as a habit that could save more lives than any single vaccine or medical intervention considering that the hands are the most exposed part of the body where germs are concerned. For instance, a simple ailment like conjunctivitis can be passed like flu to everyone who lives close to an infected person by a shake of the hand, especially dirty hands. The Country Director of WaterAid Nigeria, Dr.HalidouKoanda, in an interview, said washing hands with soap and water regularly was the most important and cheapest method of curbing the spread of disease-causing germs. “Washing your hands with soap also means you can spend less time in hospital and more time in school; it keeps you healthy to do all the things you love to do. “It not only protects you, but it also protects everyone around you because it stops germs spreading from you to others,’’ he added. Also, promoting handwashing practices should not only involve the provision of hygiene facilities alone, as Mr. Moustapha Niang, Wash Specialist, UNICEF, proposed that there must also be a concerted effort in making the people use such facilities provided. “Good hygiene practices must be a habit which requires choosing to perform them not only on Global Hand Washing Days but also on a regular basis,” he concluded.